This weekend is such a magical weekend! College football starts and I continue my yearly tradition of decorating for fall while burning pumpkin candles and watching College Gameday. So, in honor of this weekend, this Friday Favorite is dedicated to all the pumpkins that are beginning to accumulate around my house! Last weekend, I went to Bath and Body Works and started to stock up on candles. 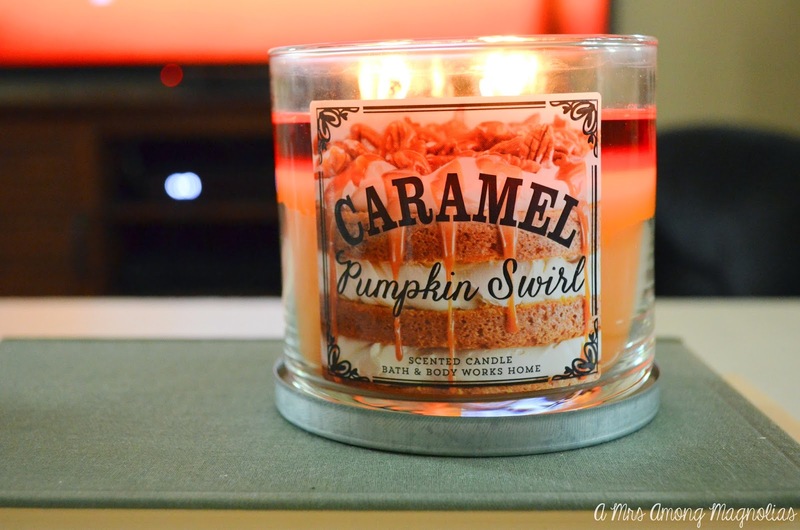 Have y'all smelled the Carmel and Cayenne candle? 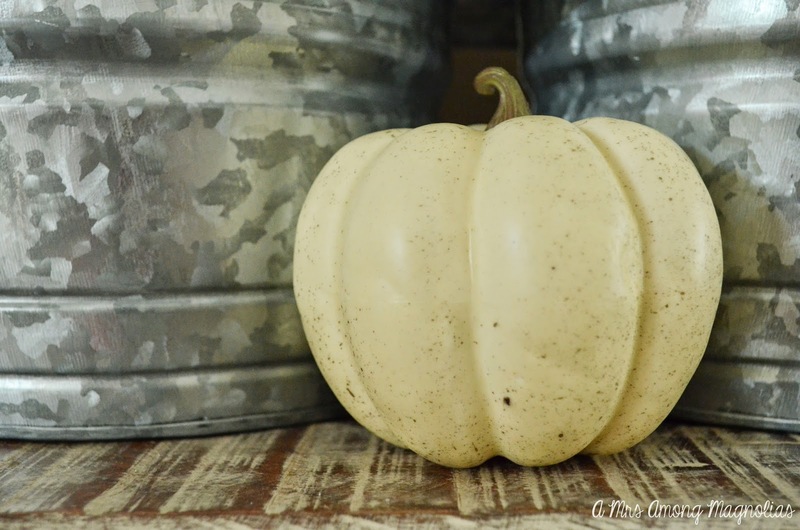 The fall theme in my house is quickly turning into white pumpkins. I bought out all of the small white pumpkins at my local Michaels and Joann's! Hobby Lobby is next! 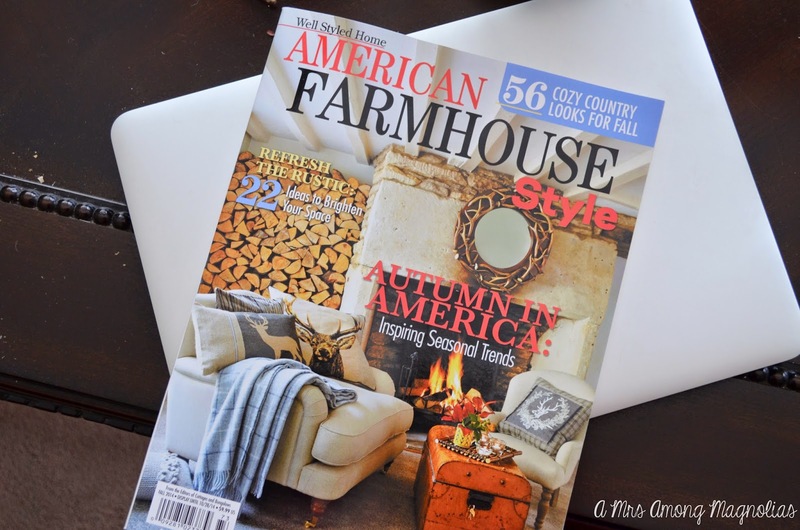 Did you catch Tuesdays blog post? I gave a sneak peek of these pumpkins! There are from Joann's, and I love them! They are not perfectly shaped but they are perfectly imperfect. 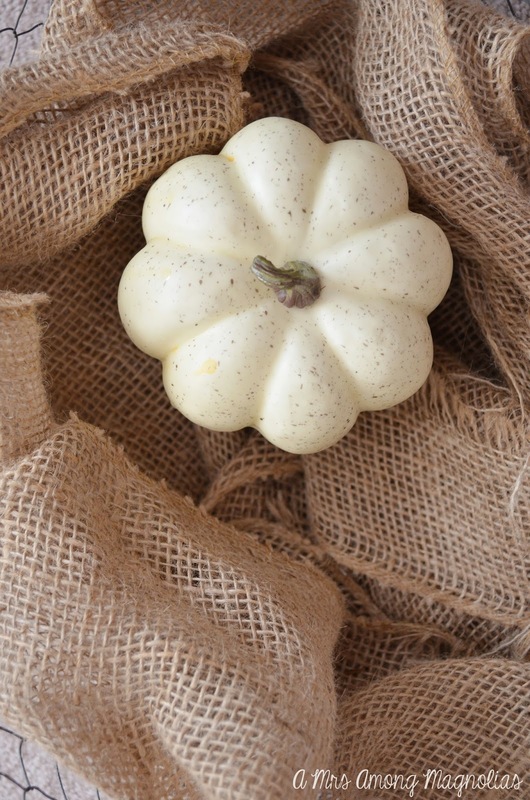 Fall is the time of year for pumpkins and burlap! I am making the most of every minute! Even if its been 100+ degrees this past week! Have you checked out thing magazine yet? I stumbled upon it in Walmart this past weekend. As far as I can tell this is only the 2nd issue that they have come out with. It is adorable and has a lot of great decor ideas that don't break the bank! I would definitely recommend it! 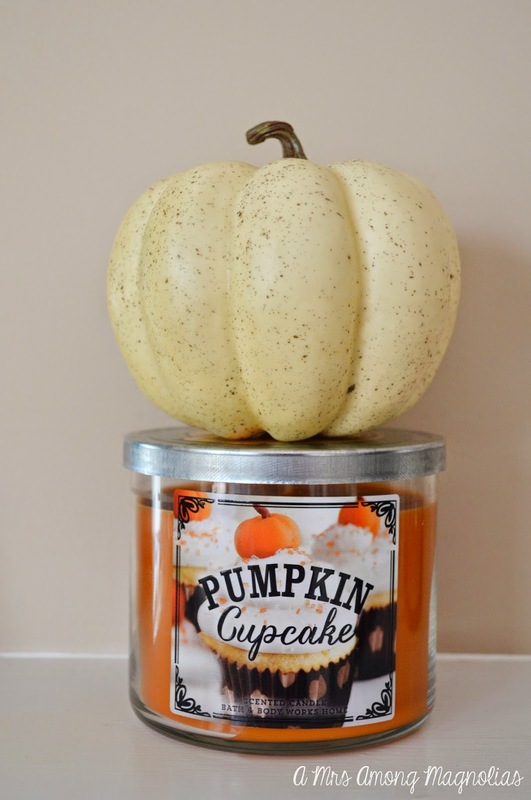 Lastly, I caved and burned a pumpkin candle early... This one is to die for!! My whole house smells amazing! Obsessed! 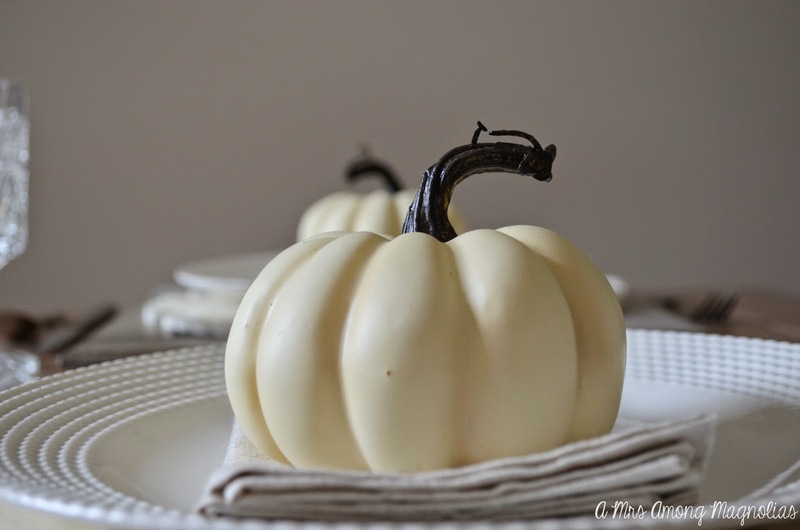 The dollar tree has the most precious white pumpkins. They are glass though. : ) Your blog is by far my favorite!!! I want that magazine monthly!! !